LUO Yongguai liked his old home, but it was the leaking roof that finally got to him. Luo is 35, single, and for years resided with his mother in a rundown earthen house in Wuxing Village, Yina Town, Wei-ning Yi-Hui-Miao Autonomous County in Guizhou Province’s Bijie City. Two generations in Luo’s family had lived in the house for a total of over 60 years, but recently Luo decided to move into one of Bijie’s new residential housing projects. In his new house, Luo can finally get a good night’s sleep without being woken by the sound of dripping rainwater. In 2011, the Bijie municipal government launched a project to rejuvenate a total of 55,597 dilapidated homes in rural areas of Weining Yi-Hui-Miao Autonomous County. 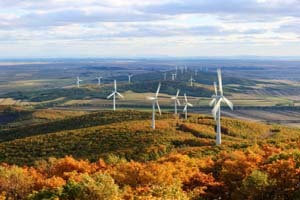 It completed 80 percent of the entire project in 2011 and the remaining 20 percent by the end of June 2012. Statistics show that a total of 403,000 residential houses were reconstructed in Guizhou’s countryside in 2011. Construction of 239,600 urban houses also got underway, including building affordable homes and reconstructing shanty areas. In addition, 46,100 families were added to the roster of those receiving rental subsidies. Having a place to settle down is a foundation on which to build one’s life. The reinforcement of unsafe buildings in rural areas is an important part of the province’s top 10 people’s livelihood projects outlined for Guizhou Province’s 12th Five-year Plan period (2011-2015). These livelihood projects cover almost every aspect of social and economic development. A quick list reads like a textbook of governmental smarts: poverty alleviation, job creation, broadening the skill set of the labor force, improving the social welfare system, constructing housing in cities and the countryside, constructing rural infrastructure, bettering the rural living environment, promoting cultural activities and focusing on public health. These projects are expected to be achieved together with a strategy of building up the province’s industries and level of urbanization. One day in September 2011, Li Zhan-shu, Party secretary of Guizhou, visited villages in Kaiyang and Xifeng counties without having informed local administrators in advance. He didn’t set visiting routes, nor did he ask local officials to keep him company. A group of five officials including Li just walked around villages and learnt about farmers’ lives and the performance of local cadres. During his visit, Li Zhanshu talked to local residents and took in their opinions. He also asked people if they had any problems in housing, drinking water and other facilities. After the two-day visit, Li reached the conclusion that raising people’s incomes is the core issue in Guizhou – poverty alleviation is number one. Li also reported back that reconstructing dilapidated rural housing has become a pressing issue. Once people have a safe roof over their heads and stable jobs, educating the young then becomes the priority, Li said. Guizhou has a large rural population but limited arable land. The province suffered from poverty for many years. It’s not easy to increase farmers’ income when they have limited tillable land, and the provincial government, acknowledging this fact, has put forward the idea of transforming Guizhou’s large population into a competitive edge. People are a resource, and Guizhou is ideally situated to take advantage of the demand for skilled and unskilled labor in China’s more affluent provinces. Remittances from workers in those areas can be a big boost to local economies, and Guizhou’s migrating workers also help to relieve worker shortages in other areas. For those who can’t or won’t migrate, the government has put in place helpful policies. Farmers are encouraged to become proficient in advanced agricultural technologies and skills in special training schools. Today in Guizhou, learning and applying advanced technologies to farmland has become the big new trend. The achievements of this shift are evident in statistics. By the end of 2011, urban per capita disposable income in Guizhou reached RMB 16,500 while rural per capita net income stood at RMB 4,200, an increase of 12 and 15 percent respectively over 2010. Though poverty has been a long-term issue in Guizhou, people from the province have reason to be optimistic. At the provincial economic work conference in 2010, Li Zhanshu presented some impressive targets for poverty alleviation. During the 12th Five-year Plan period, the number of people living below the poverty line should drop by more than three million. And by 2020, authorities aim to see a total of 5.05 million people raised out of poverty. Guizhou has always placed a high priority on education in its social development undertakings. In 2011, 300 public kindergartens were built or expanded in the province. At the same time, local governments facilitated the construction of rural boarding schools and stepped up efforts to radically improve weaker schools. Last year, the Guizhou provincial government handed out RMB 758 million in subsidies to boarder students from poorer rural families. All primary schools and middle schools in the countryside are now equipped with canteens. On top of that, the province is paying more attention to developing senior high schools and vocational schools than ever before. Huaxi Universities District is also under construction, and the first phase of Guizhou University’s expansion project has been completed. A provincial science and technology conference was held in 2011, which has resulted in the construction of a good number of cutting-edge laboratories, engineering and technology research centers and work stations for academicians. 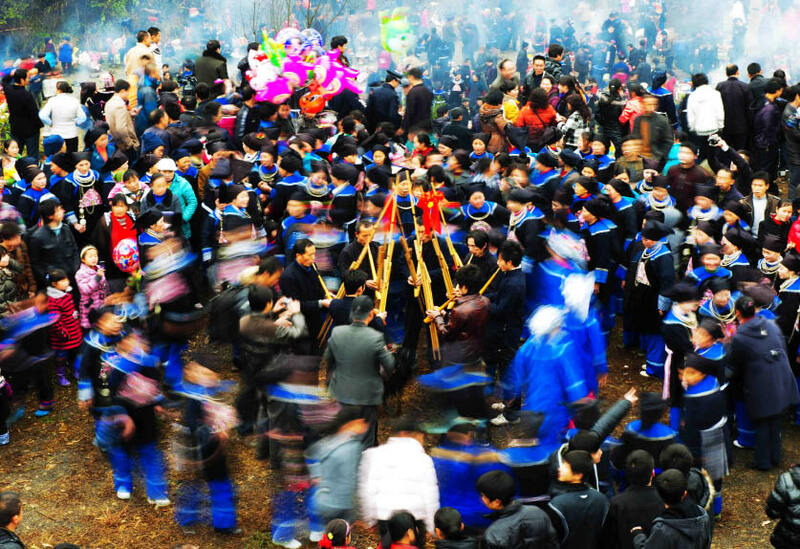 Guizhou’s cultural scene has also been targeted. Particular advances have been made in provincial journalism, broadcasting and film as well as local literature and art. In the past, it was a pipe dream for people living in mountainous areas to have their muddy, unsurfaced roads transformed into quality highways. Good roads are the lifelines of isolated communities that connect them to bigger cities and allow them more opportunities to grow their economies. Current infrastructure extension projects in Guizhou are realizing these ideals and putting farmers on the fast track to higher incomes. According to the scheme, all towns in Guizhou will be connected by asphalt roads by the end of this year. All major villages will be linked by roads, the total length of which will reach 40,000 kilometers. By the end of the 12th Five-year Plan, 80 percent of administrative villages in the province will be linked together by high-quality asphalt roads. In 2011, participation in Guizhou’s New Rural Cooperative Medical Care System reached a record high. The participation rate was 97.13 percent in the province, marginally higher than the national average of 96 percent. The standard subsidy allocated for joining the insurance scheme was raised from RMB 120 per head in 2010 to RMB 200. The increasingly equitable distribution of basic public health services was also a hallmark achievement of 2011. State funding for basic public health services was raised from RMB 15 per capita in 2010 to RMB 25. Subsidies have increased, service items have improved and service providers have received more training. In all these changes, greater focus has been put on the rural health services network. The New Rural Pension Insurance is a significant step forward for farmers, and aims to guarantee a high quality of life for rural elderly in particular. A total of 180 rural nursing homes were built or renovated in 2011. Other measures continue to benefit farmers, such as policies that exempt farms from agricultural taxes, farm subsidies and the improving rural cooperative medical care system. Xingren County was the location of the pilot project for the new rural pension insurance scheme. By the end of 2011, the county had awarded pension payments worth RMB 55.6 million, with roughly 210,000 local residents insured. To urban and rural households in need, Guizhou has established a seasonal food aid system, which grants provisions to poorer families and those afflicted by natural disasters. A mechanism has been set up to ensure that the measure of subsistence allowance and unemployment benefits rises with inflation. When living costs rise, the government will grant temporary subsidies to those worst affected. Meanwhile the province has also launched a vigorous job creation program, which seems to be working – in 2011, the number of unemployed in Guizhou fell by 160,000 people, and three counties and 66 townships were reported as officially having risen above the poverty line. According to provincial reports, in 2012 Guizhou will invest RMB 90 billion in implementing its top 10 livelihood projects. Locals will continue to benefit, and they have shown enthusiasm for the direction in which their province is heading. The Guizhou growth story continues.